Beverly J. Tate - Howard B. Tate & SonFuneral Home, Inc.
Raymertown- Beverly “Bev” J. (Hannay) Tate, 86, a longtime resident of Raymertown, died peacefully Thursday, May 28, 2015, at the Van Rensselaer Manor Nursing and Rehabilitation Center following a short illness. Born in Troy, December, 19, 1928, Bev was the daughter of the late Henry and Verna B. (Rawlins) Hannay and for over 59 years the beloved wife of the late Howard “Stan” Tate, who predeceased her on May 14, 2009. Bev and Stan were married at the Dutch Reformed Church in Wynantskill on May 21, 1949. As a young wife, Bev worked for several years as an office manager at the former Behr-Manning (currently the Norton Company) in Watervliet. More recently she has been a homemaker, raising her three children and caring for her home and husband. Later in her life she was instrumental in helping to care for her grandchildren, especially Jill and Jenna. Bev was a former member, past Council member, and Financial Secretary of the Evangelical Lutheran Church of Raymertown. She was a former member of the “Crazy 8’s” Thursday Night Bowling League at Hilltop Bowl, the Ladies Home Bureau, and the Eastern Star. 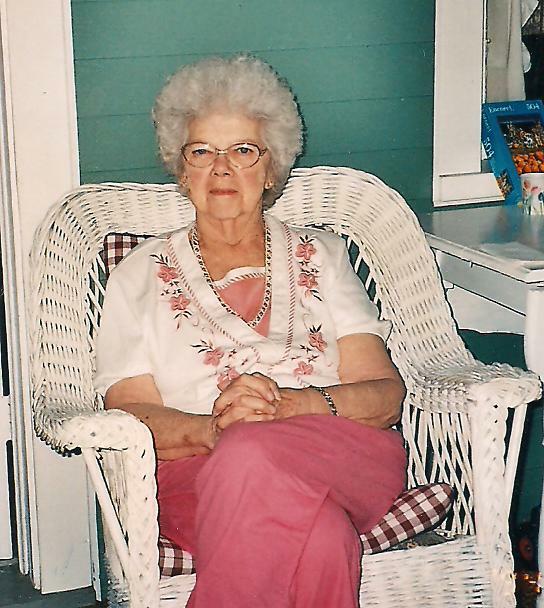 In her quiet time she enjoyed caring for her flower gardens, knitting and crocheting, solving crossword and word search puzzles while riding in the car, and especially loved to travel to Maine with Stan and to Florida to visit the Wagner’s in the winter. Beverly is survived by her three children and their spouses, Bonnie J. (Wayne) Howe of Brunswick, Mark S. Tate of Raymertown, and Donna J. (Jeffrey) Tate-Smith of Raymertown, a brother, Harold Hannay of Florida, a brother-in-law, Lowell (Mary) Tate of Poestenkill, and a sister-in-law, Betty Hannay of Troy, grandchildren, John “Ben” Howe of Brunswick, Adam and Georgeanna Howe of Sycaway, Jill and Brian Foley of Brunswick, and Jenna and Ryan Richmond of Troy, great-grandchildren MacKenzie and Hailey Howe, Zachary Loya, Isaac Howe, and Molly and Keller Foley, cousins Shirley and Jim Wilde, and Floyd Wilbur of North Greenbush, a niece and several nephews. In addition to her parents and husband, Bev was predeceased by a brother, William Hannay. A funeral service will be held on Tuesday, June 2, 2015, at 10:00 A.M. at the Howard B. Tate & Son Funeral Home Inc., 2237 NY Route 7, located in Raymertown with family friend, Rev. Gaylord Campbell, officiating. Burial will follow in Eagle Mills Cemetery in Brunswick. Relatives and friends are invited to call at the funeral home on Monday, June 1, 2015, from 4:00- 7:00 P.M.
At the request of Bev’s family, memorial contributions, if desired, may be made to the Residents Activities Program, c/o Van Rensselaer Manor, 85 Bloomingrove Drive, Troy, NY 12180, in memory of Beverly J. Tate. Beverly’s family wishes to extend their appreciation to the nurses, staff and activities directors of the “B-1” unit at Van Rensselaer Manor for their excellent care, support, and love shown to Bev during her stay there.